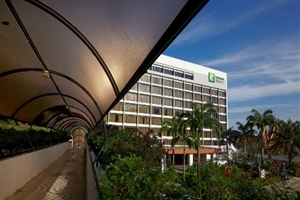 With its privileged location on the golden sands of Batu Ferringhi, Holiday Inn Resort Penang brings its globally renowned brand of hospitality to an area of breathtaking tropical splendour. 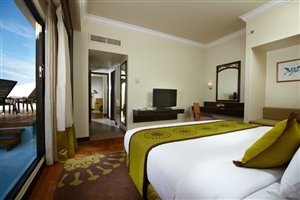 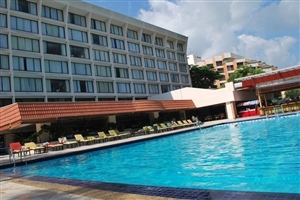 Boasting 358 functional and sophisticated guestrooms and suites, Holiday Inn Resort Penang further complements its stunning setting with a breadth of generous facilities, including a swimming pool and an array of leisure activities. 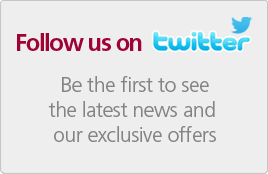 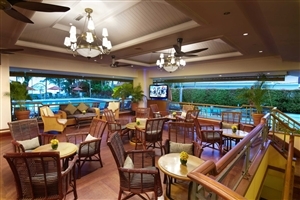 The Holiday Inn Resort Penang also features an all-day dining venue serving an excellent selection of international classics and local favourites. 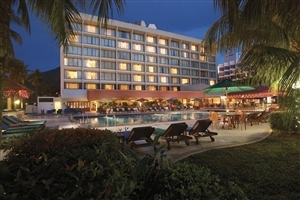 Located on the beautiful golden sands of Malaysia’s Batu Ferringhi, the Holiday Inn Resort Penang is an exceptional family-friendly Penang holiday resort. 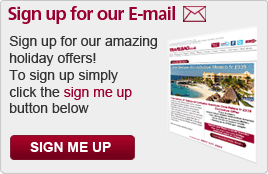 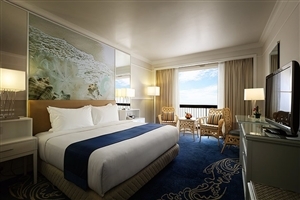 The 358 elegant and functional guestrooms and suites are available with a fine array of standard amenities, while its position between the Andaman Sea and a lush hillside carves an epic setting that will enchant the entire family. 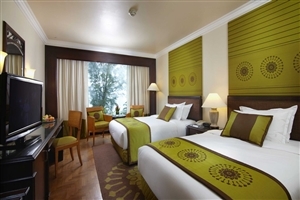 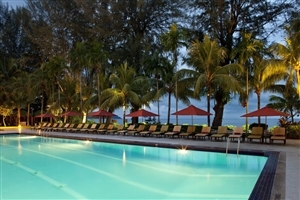 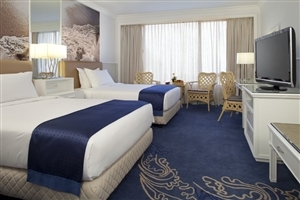 Holiday Inn Resort Penang complements its location with superb facilities, including leisure and recreational activities, while the exquisite Terrace Café serves an excellent selection of international classics and local favourites for breakfast, lunch and dinner. 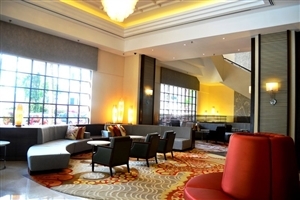 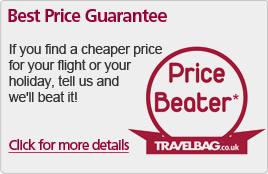 The Holiday Inn Penang is 45 minutes from Bayan Lepas International Airport and 30 minutes from Penang’s largest city of Georgetown. 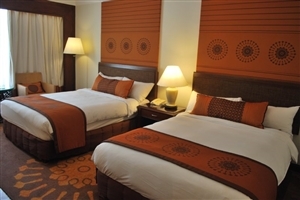 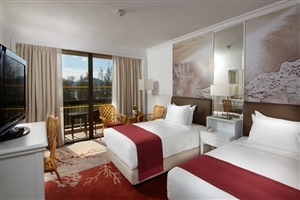 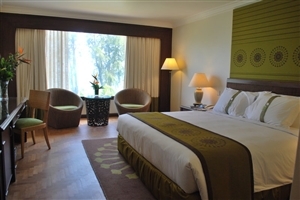 The Ferringhi Tower Hillview Room at Holiday Inn Resort Penang offers pleasant views towards the pretty Penang countryside and offers impressive standard amenities. 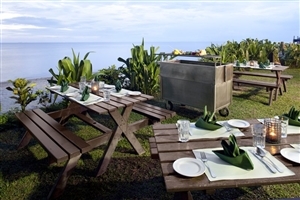 The Beach Wing Hillview Room at Holiday Inn Resort Penang glances out across the Penang countryside but is located in the Beach Wing. 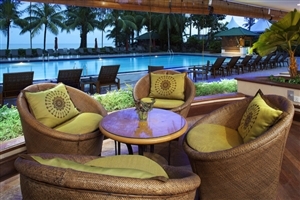 The Beach Wing Seaview rooms at Holiday Inn Resort Penang offer superb views across the ocean from your private balcony. 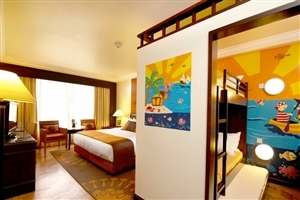 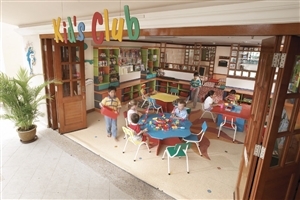 The Beach Wing Kids’ Suite at Holiday Inn Resort Penang is ideal for those travelling with children thanks to its private kids’ room, complete with a Playstation. 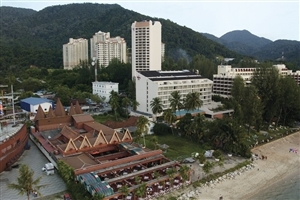 The Ferringhi Tower Seaview rooms at Holiday Inn Resort Penang offer beautiful views across Batu Ferringhi beach and the ocean. 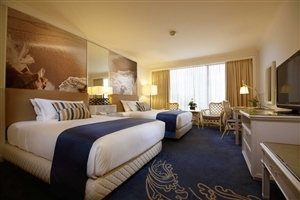 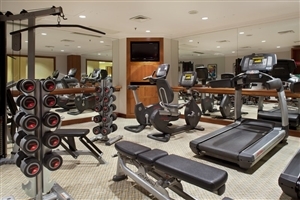 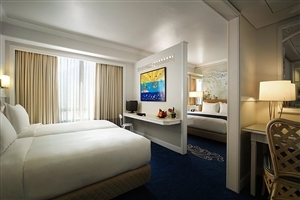 The Ferringhi Tower Family Studio at Holiday Inn Resort Penang offers greater practicality for larger groups and family guests. 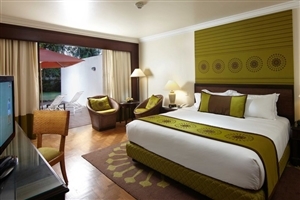 The Beach Wing Garden Deluxe Suite at Holiday Inn Resort Penang is located in the shared gardens for a relaxing hospitality experience. 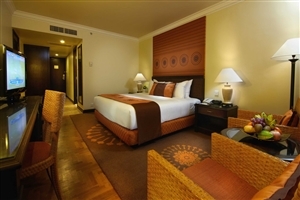 The Beach Wing Ferringhi Suite at Holiday Inn Resort Penang features a separate living room and bedroom, plus a private balcony from which to enjoy the pleasant views. 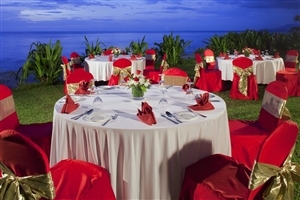 Terrace Café – Boasting an ‘open dining concept’, Terrace Café serves local and international cuisine and offers swimming pool, gardens and sea views. 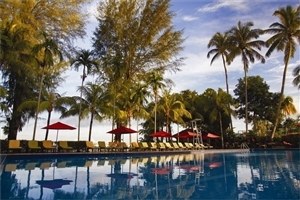 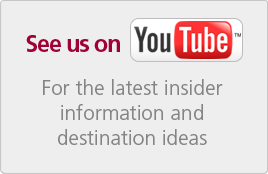 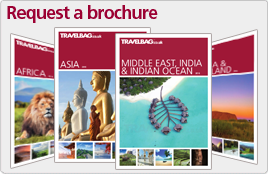 Guests staying at Holiday Inn Resort Penang can enjoy a host of facilities on-site, including watersports on the adjoining Batu Ferringhi coast, or you can allow us to arrange local expeditions in the beautiful Penang Island.